Have you been on the market for an electric hot water heater recently and you still haven’t found the thing for you? If so, you’ll be extremely delighted once you have one of the bad boys set up. You will never have to worry about using outdated dials and thermometers again because now you’ll have a touchscreen. Is your water heater leaking? Maybe you were going to get some ice cream one night when you noticed that your garage was filled with waters that were beginning to make a mess next to your tool box. If you want someone to give you a hand with fixing this quickly, you’ll be supported by Plumbing of Richmond. Water heater installation is another thing that we consistently offer our customers. You might have recently moved into your dream home but now you’re unable to get your heating tank set up properly. If this is something you’re going through, give yourself a break by calling in our professionals to install it for you. 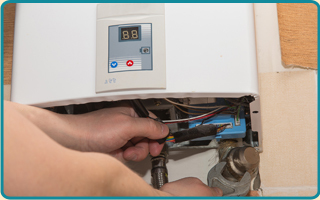 Water heater replacement is something else that some people find themselves needing. 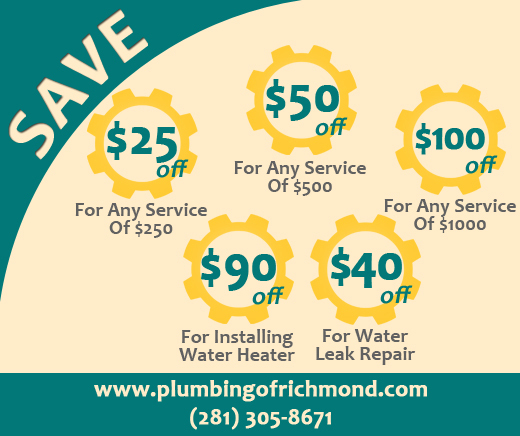 If you are attempting to get your unit replaced because the old one failed to work in the way that it was supposed to, you’ll never have to stress out about it because Plumbing of Richmond is always here for you. Are you worried that your water heater services are going to cost you far too much money? 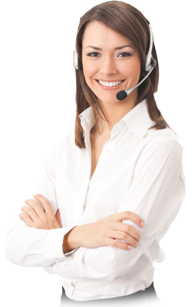 If so, you’ll be happy to know that our Texas technicians are able to keep your plumb bills down. We have affordable rates that work together with our online coupons to build up big savings for you.